DK Eyewitness Travel Family Guide France: Southwest France, from the groundbreaking family travel series, is written by parents and guarantees the entire family will enjoy their trip to France. 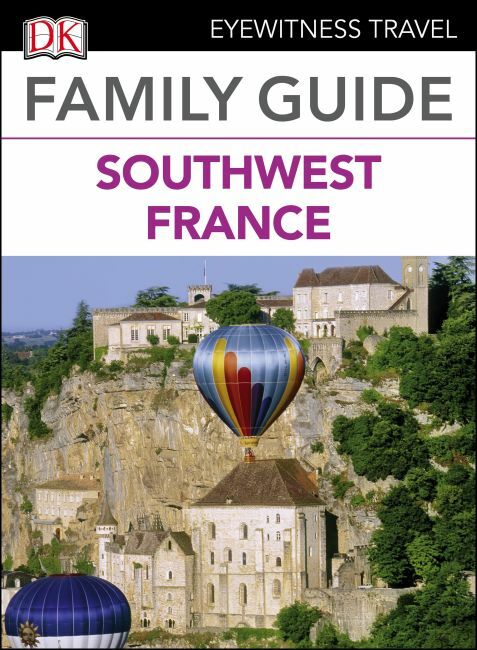 This thorough guide covers Périgord, Quercy and Gascony, Lascaux II, Rocamadour, Albi, Poitou and Aquitaine, Futuroscope, La Rochelle, Angoulême, Bordeaux, the Pyrenees, Bayonne, Pic du Midi de Bigorre, and Grotte de Niaux. The guide also includes dedicated "Kids Corners" that feature cartoons, quizzes, puzzles, games, and riddles to inform, surprise, and entertain young travelers as they explore everything Southwest France has to offer. With child-friendly sleeping and eating options, detailed maps of main sightseeing areas, travel information, language tips, budget guidance, age range suitability, and activities for every area, DK Eyewitness Travel Family Guide France: Southwest France is the ultimate guide to stress-free family travel.